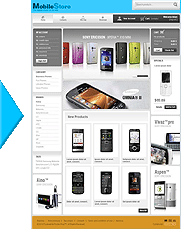 This guide is for anybody who wants a fully functioning e-commerce store using PrestaShop. The free, set-up and user documentation is very well presented and thorough; however, some storeowners and developers appreciate additional teaching perspectives. We recommend John Horton's PrestaShop 1.3 Beginner's Guide for this purpose. You do not have to have any previous knowledge of PrestaShop or any aspect of e-commerce or business in general. If you do, then you will probably find this guide really valuable as well. The book covers all you need to know about starting your own e-commerce business. This practical guide follows the order of developing an active business. Packed with easy-to-follow steps with loads of screenshots and clear explanations, it follows a step-by-step approach to set up a PrestaShop e-commerce store from the very beginning through finding a web host, setting up your PrestaShop store, accepting money from customers, and planning for the future of your business. The first few chapters are an illustration of how to get your shop online, stocked up, and looking smart and unique, including some really cool and really simple product features to show off your wares in style - very quickly. The later chapters are quite diverse and cover some exciting stuff such as newsletters, loyalty schemes, alternative revenue streams, statistics and analytics. You will also learn about security, disaster recovery, payment handling, currencies, taxes, shipping, and more. Towards the end, the chapters cover final preparations before going live, handling orders in PrestaShop, and how to promote your store and get more customers.